According to a new report in the Seattle business Journal, Seattle homebuyers could break even on a home purchase in less than two years. According to the “ Breakeven Horizon” a study published by the Seattle online real estate company Zillow, homebuyers could break even on a home purchase in less than two years in over 70% of housing markets across the country. 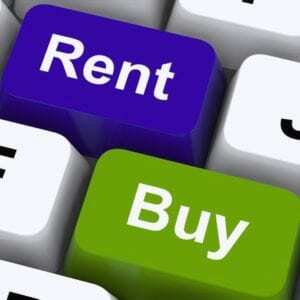 This means that it is now cheaper to buy a home then renting in less than two years. Zillow researched facts such as short time frames, low-interest rates, rising rents, and home values. The average rent for a Seattle apartment is about $1930 per month. The breakeven horizon is the number of years after which buying is more financially advantageous than renting. But it all comes down to where the homebuyer or potential homebuyer is when they plan on buying. For many people under 35 years old, being employed at a place longer than three years is a little unusual so buying might not make sense for these type of Seattleites. Regardless of whether paying a mortgage is more affordable than renting, the time might just not make sense. However, for many people that are considering buying, the median home price for a property in King County is currently about $508,000. Millennial’s will continue to buy homes in the Puget Sound region because the confidence in the housing market continues to grow. Because of this, rents will continue to increase but so will home values and home prices. Because inventory is low, it drives up home prices even more, but the rents go up as well. Many investors are finding affordable homes, flipping them and then renting them out for far more than a mortgage would be on a similar property. This breakeven horizon calculates the point, in years, at which buying a home becomes less expensive than renting the same type of property. It factors in all costs associated with buying and renting including any upfront payments, closing costs, monthly rent or monthly mortgage payments, insurance, taxes, utilities, HOA fees and maintenance costs. If you’re ready to make the move or for a free consultation, contact Mary Pong today for all homes and real estate in the Puget Sound.